The Puerto Rican politician has emerged as one of Trump’s most effective foes. 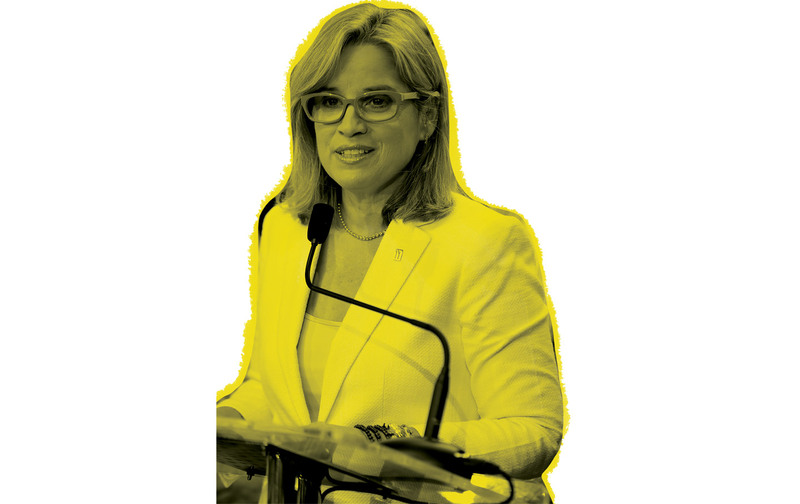 When Hurricane Maria lashed Puerto Rico in late September, wreaking havoc upon the island, San Juan Mayor Carmen Yulín Cruz was cast into a familiar role: the local official scrambling to secure aid for her beleaguered constituents. When she wasn’t wading through the capital’s flooded streets and personally guiding residents to safety, she was agitating for a stronger response from the federal government, which was struggling to get food and rescue workers to the commonwealth. After viewing the wreckage, then–acting Secretary for Homeland Security Elaine Duke claimed the disaster was “really a ‘good news’ story in terms of our ability to reach people and the limited number of deaths.” Cruz’s response to Duke, aired on CNN, was unsparing. “This is, damn it, this is not a ‘good news’ story. This is a ‘people are dying’ story. This is a ‘life or death’ story. This is ‘there’s a truckload of stuff that cannot be taken to people’ story,” she said. Check out all of our leader profiles from The Nation’s Resistance at One special issue. With that, Cruz found herself in another now-familiar role: the mayor of a disaster-stricken area who is suddenly attacked by the president of the United States. Just as he had done with the mayor of London following the horrific London Bridge attack last June, President Trump, from his golf course in New Jersey, launched several Twitter fusillades against Cruz, accusing her of being a pawn of the Democrats and of failing to get her “workers” mobilized for the hurricane response. If one were to make an accounting of the people truly harmed in the first year of Trump’s presidency—people who have lost their health, their property, even their lives—the residents of Puerto Rico would be high on the list. As of this writing, over 1,000 people are estimated to have died as a result of the storm. This toll mounts every day because people lack vital services; about half of the island still doesn’t have power, which one can easily surmise would not be the case in a wealthy, Trump-supporting suburb hit by a similar disaster. Cruz’s efforts on behalf of the victims of Hurricane Maria have made her a hero in Puerto Rico, and unfortunately for Trump, she will probably be around a long time: Cruz is widely expected to run for governor of the commonwealth in 2020.